But: The more you list on the auction house, the more time it takes to re-post them. You have to consider that. I have an extra account that only sits on the auction house to get that job done. He does all the work on the listings and I can play my main account whereever I want. 3) How do I know an items value? 4) Who sets the item’s value? Most of the transmog items you can farm are from Vanilla or The Burning Crusade expansion. I don’t really know why, because some Pandaria or WoD sets do indeed look better but have no value. The most common transmog sets are the Glorious Set, Vanguard Set, Jade-Set, Saltstone Set, Tyrants Set, Ironhide Set etc. You can clearly see, that the character are not wearing a lot. A lot of skin means a lot of gold. Verdammniswandler or Verdammnislord Kazzak (Hellfire Peninsula) can drop nice weapons like Hoffnungstörer, Lebensstab der Exodar or Nexushäscher des Astraleums. Rare spawns throughout Outland can drop items worth up to 50k gold. Northrend does not have any valuable sets, as far as i know. In cataclysm areas, world bosses like Julak Doom or Akma’hat can be interesting. First and foremost Vorlage: Strassbesetzte Sonnenbrille, which is bound on pickup, but the Item we can craft is not and sells for 100.000+ gold. The best known transmog from Warlords of Draenor is Schwarzfelsbollwerk, worth 200.000+ Gold. Its an open world drop. Der Gürtel des Dämonen (200.000+ Gold) is an item that can drop in Hellfire Citadel. As far as I know, Legion does not have any transmog items you can farm and sell. While Legion offers you nothing, Battle for Azeroth is way more interesting. If we are lucky, we get an Item Level 310 Armor / 325 Weapon at the end of an island expedition. These items belong to a set that are sold for 100.000 Gold or more. MMonation has listed all the Sets and items. Another great gold source are crafted items from Blacksmithing, Tailoring and Leatherworking. I think blacksmithing has the biggest potential, it can craft weapons AND armor. Good examples are weapons like Wiedergeborener Drachenschlag or Teufelsstahlklinge. 6) How long do i have to wait? Patience, in this case, is the way to go. In the following example, a player sold an item after 1040 days and made profit with it! 7) Who buys stuff like that? The Stylist: For visual transformation, a lot of players in World of Warcraft spend a lot of gold. If you think about other games, where you can get skins for real money, spending gold in WoW is a great deal. And on the Black Market Auction House, T3 set pieces sell for several millions of gold. The Collector: Some players really want to have them all! Not only transmog, but also mounts and recipes. Rare recipes for professions really sell for a lot of gold. 8) Which servers are capable? 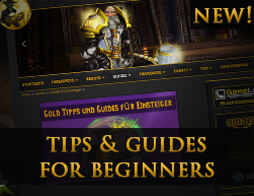 This is now a whole guide, but a small glimpse into the world of selling transmog in World of Warcraft. A lot of us have characters with farming professions like Mining, Skinning or Herbalism (or even two of them combined). And it’s no secret that War Fronts and World Quests in Battle for Azeroth are flooding our bags with rare and epic items. Since they are bound on pick up we can’t send them to another toon to disenchant them. To unlearn a profession like Blackmithing or Tailoring to skill Enchanting would be pretty useless because you will lose all the recipes of your old profession. IMPORTANT: All Mining Skills will be at 1 if you unlearned Mining and if you want to farm in Classic or Pandaria, you have to skill these parts of the profession again just like in Battle for Azeroth – but without perks from ranks, since they are none. How is this a thing here? If you disenchant an epic weapon or armor, you will receive a Trüben Kristall with a 100% chance, and if you’re lucky you can also get additional Umbralsplitter and Düsterstaub. For rare items you will get 1-2 Umbralsplitter + Düsterstaub. Depending on your server, a Trübe Kristall is sold for 500-1.500 Gold and the Umbralsplitter for around 100-400 Gold. If you sell your epics to a vendor he gives you 50-60 Gold. Of course theres no point in ditching your farming profession for two or three items to learn Enchanting, but you can store your items on your bank – that’s how I do it. And every 2-3 weeks I disenchant them all and sell the enchanting materials. Maybe that’s an option for you, too? There are a lot of new pets in Battle for Azeroth that we can make gold with. One of them is the Wicker Pup which can be found in Drustvar. It does not take a lot of effort to get it, aprox. 10-15 minutes. These parts are hidden in chests that are protected by a spell. Activate the torches and the spell is broken! If you have collected all 4 parts, right-click them in your inventory and you get Unheimliches Zweigbündel. Learn it to get the battle pet Wicker Pup. Depending on your server, this pet ist traded (30.08.2018) from 10.000 – 70.000 Gold. The more there are available, the less they are worth – obviously! So if you want to make money with this pet, I recommend you to get and to sell it fast! If we want to make money in World of Warcraft, the goblins among us love to do ‘shuffles’. As an example, to get Hypnotischer Staub we buy cheap Glutseidenstoff at the auction house and craft Todesseidenarmschienen from it. We disenchant the wrists and get Hypnotischen Staub. How does a WoW Token Shuffle work? Right now, a token is worth 190-200.000 Gold. If we buy them, we can transform it into 13€ Battle.net Balance or get 30 days of playtime out of it. Before the start of Battle for Azeroth, the tokens price was around 350.000 Gold. The token almost reached 400.000 Gold aswell. So.. We now buy tokens for 190.000 Gold and transform them into 13€ Battle.net Balance. When the token is at 350.000 Gold again, we buy a token at the Shop for 20€ and sell them ingame for the recently mentioned 350.000 Gold. That would mean around 60.000 Gold profit per token. As you can see, the token costs 7€ more to buy then to sell. So if we buy them for 190k we only have profit if we buy tokens to sell for at least 292.000 Gold. WoW token ingame: 189.000 Gold => 13 € battle.net balance! 189.000/13€ = 14.538 Gold per Euro. 20 times this number is 290.760 Gold. So if the token rises above that, you have profit! The limit for battle.net balance is 125€ without a Blizzard Authenticator and 250€ with an active Authenticator.